(262,’2006-12-25 22:45:36′,’david’,’2006-12-25 23:47:13′,’david’,’How To Remove The Harbor Freight 8″x12″ Or Lathemaster 8″x14″ Motor And Wiring Harness’,”,’Sooner or later you may have the need or desire to remove the motor from the 8x lathe. In our case, we wanted to take some dimensions as well as move the lathe so it was time to tear this part of the lathe down. From an earlier procedure of tightening the sync belt, we found that while this lathe is quite robust for its price, many of its components are quite simply installed. This is quite good news for the DIY hobbyist who needs to make repairs in house. The motor itself weighs in at over 10 lbs. It’s quite heavy. 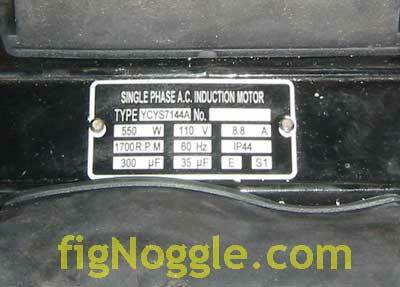 Before we go too far into the procedure, here’s a reading from the motor. We are going to install a VFD (variable frequency drive) motor and control so that we can not only eliminate the pulley setup and get the pulleys removed, we can make speed changes at the twist of a knob). Then you’ll need to remove the three philips head screws that hold the half enclosure that mounts to the lathe bed and the backplate of the pulley mount. 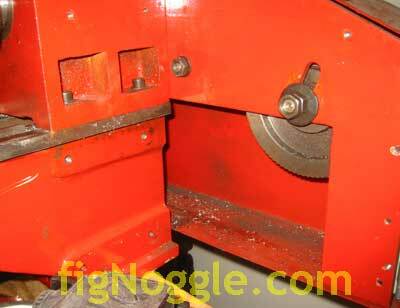 But.. if you’re planning on moving the lathe around, it’s best to also remove the backplate that holds the tension pulley and timing belt/intermediate gear in place. It’s held in place with two hex bolts. Remove those and you can now easily handle the lathe. It’s still pretty heavy, but it won’t be as difficult to manage. 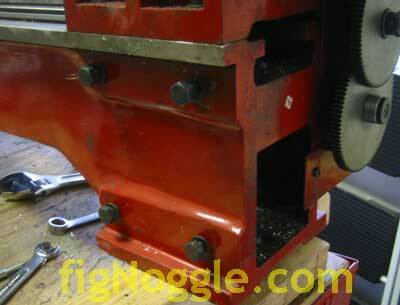 Sooner or later you may have the need or desire to remove the motor from the 8x lathe. 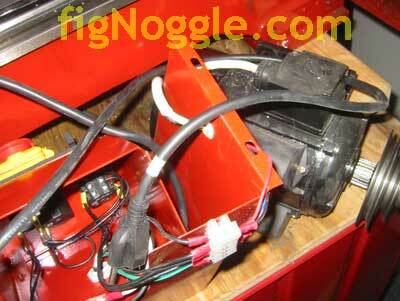 ‘,’Sooner or later you may have the need or desire to remove the motor from the 8x motor. 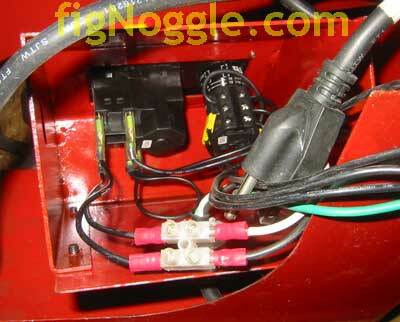 Sooner or later you may have the need or desire to remove the motor from the 8x motor. This entry was posted in Old Workshop by fignoggle. Bookmark the permalink.